Micromax has sold over 1 million phones from its canvas series this year. Micromax canvas 4 A210 was made available for preorder today and amidst all the rumors of its specs and pricing another phone from Canvas series, Micromax A92 Canvas Lite is now available for purchase for Rs. 8499. we had earlier covered the launch of this phone and now let’s take a scrutinizing look at its specifications. Canvas Lite has a 5 inch TFT IPS display with a resolution of 480 x854 pixels (WVGA). 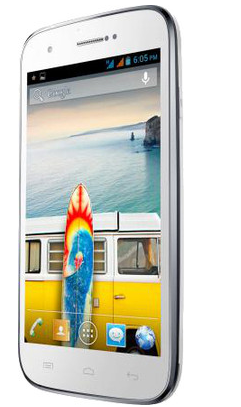 This gives you a pixel density 196 ppi similar to Micromax Canvas 2 A110. This is a good clarity screen and is above average considering the price range. This phone is powered with a dual core processor clocked at a frequency of 1 GHz; this is a standard processor in this price range smartphones. The processor is backed by a moderate RAM capacity of 512 MB which might show you some lag in extensive gaming or with exessive usage. The internal memory of this devicce is standard 4 GB which can be extended up to 32 GB using a microSD card. Operating system used is Android 4.1 jelly bean which is an improvement over canvas 2 A110 (Android ICS). 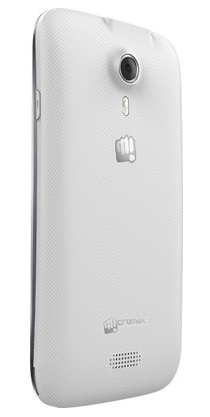 Micromax canvas Lite A92 has a primary autofocus camera of 5MP. It is capable of video recording at 30fps. Other camera features include 5x zoom and LED flash. Absence of front camera may disappoint those interested in video calling. The battery capacity is 2000 mAh which will be sufficient for a whole day moderate usage. This device comes with Dual SIM with dual standby feature. Other connectivity features include Wi-fi, 3G, Bluetooth 4.0, GPRS, EDGE and USB connectivity. It’s thickness is 10.8 mm (canvas 2 is 9.7 mm thick).overall this phone has well enough specifications considering its price of 8,499 INR. Currently this phone is Out of stock on Flipkart but you can register your order and they will notify you as soon as its back in stock.